1975 Another pair of stills added to original pair. 2000 19th December 2000 bought by a small independent company of private individuals, headed by Mark Reynier, Gordon Wright and Simon Coughlin of Murray McDavid. 2001 29th May 2001 - first distillation after 5 months of refurbishment of the old existing machinery, much dating back to 1881. A new whisky, based on the original distillates from the end of the nineteenth century is the first: 'Port Charlotte', heavily peated at 40 ppm. 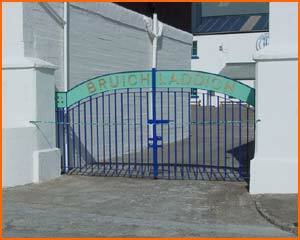 2001 1st June 2001 - The Bruichladdich 'Valincher' available. 50 cls bottles filled by hand by the purchaser at the distillery - in person. 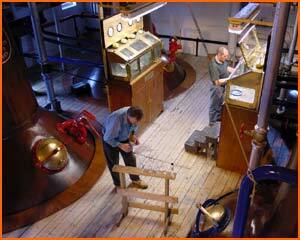 2001 8th July 2001 - First distillation run of traditional Bruichladdich, distilled at 10 ppm phenolic content. 2001 5th September 2001 Scottish launch of the new bottlings of Bruichladdich 10 fifteen and twenty un chill filtered, un coloured and reduced to 46% with Islay Spring water. BODY: Light fresh and full of vitality. It simply bursts from the glass. NOSE: An assertive youthful bouquet with lots of honeysuckle, myrtle, green apple, soft pear, green grapes, garden mint, warm dry hay and oak shavings, add a sprinkle of salt and crushed sea shells. All intertwine and with no heavy peat reek to mask its zest the aromas intertwine and captivate the olfactory senses. PALATE: It's simple and succulent with the sweet flavours of home made tablet, toasted malt and mead. This is followed by fresh citrus fruits, tangerine and orange, with a zip of sherbet that tickles the tongue and give the young perfectly interlaced flavours the opportunity to impress. Lastly a fresh ozone breeze ripples over the palate cooling the fire of youth. FINISH: Like a Scottish Reel it is full of action. Not too long and takes your breath away. Genuinely lovely, this young islander deserves a larger audience. Deep amber gold color. 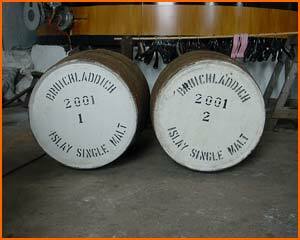 The sweetest Bruichladdich that I have ever encountered. Big, rich, and full with sweet caramel and malt notes dominating. Incredibly long and viscous. The classic Islay peat assault takes a back seat in this beautifully styled malt. Excellent! Modern technology is not entirely spurned: broad band web cameras thoughout the distillery allow visitors to the Bruichladdich web site to see distillation cask filling and the comings and goings as well as just the weather. Comments The original distillery full of old and original machinery from 1881. 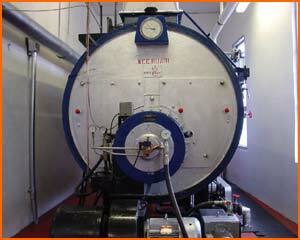 One of only three distilleries left with an open mash tun. And belt driven mill. A genuinely interesting tour - minus the corporate propaganda.